Accommodation is in a comfortable old farm house with hot showers and full electricity. All meals and beverages are provided. 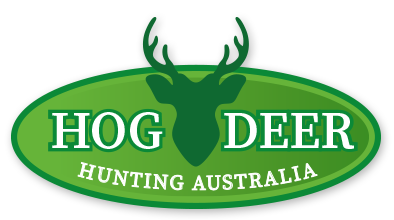 Hog Deer season opens on the 1st of April and closes on the 30th of April each year, we now have a special licence only for International Hunters and can offer legal hunting of Hog Deer during the months of February,March and May. 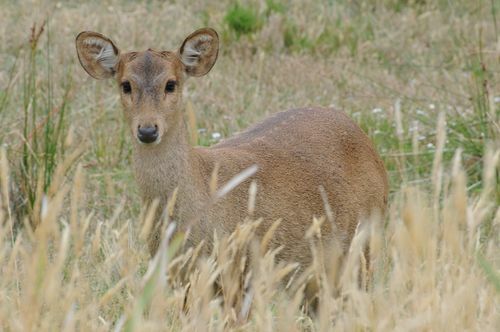 Hog Deer Tags are required and limit per hunter is one male Hog Deer and one female Hog Deer at this stage we do not havest female Hog Deer as we are building the wild free range herd of Hog Deer up. April is normally mild weather, but cold snaps can occur, so it is advised that you bring good waterproof clothing and footwear. Clothing should be cotton camouflage or similar, with a warm jacket for early morning and late evening hunts. Boots should be lightweight vibram soled (preferably waterproof) walking boots. You will require good quality binoculars. Gaiters would also be a good idea especially if you are hunting during the months of February and March as these are the months that we see a lot of Snakes they are mainly Tigers, Brown and Black Snakes. A Victorian Game Licence and Shooters Licence is required. Internarional Hunters need to apply for a Victoria Police International Visitor Firearm Permit this can be found on your computer we can assist with the above but need some time in advance of the hunting season of April as well as February,March and May. A loan firearm is available for International Hunters this is reccomended as it is easier and saves a lot of messing around with Customs at the Airports. No Firearms under .243 caliber permitted.